Thanks for stopping by and taking a peek at this card. It is time for another challenge at CTO. Come join us if you're in a creative mood--(lol). Green and White with one optional color is the requirement. I love reading and really like bookmarks and I thought that this card would make a nice gift for someone. This is not only a card but a detachable bookmark all in one. Comments are welcome. Enjoy and GOD Bless. What a great idea...I love it! I love this card and the idea behind it. My son's a Music Ed major and would love this, I may have to steal your idea. Great job!! The CTO DT knocked my socks off this week!! I just love your work. Keep up the great job. Very nice.. love the green music note paper! I am loving the bookmark! Girlia your card is so cute... and before I read that it was a bookmark.. I though it was a money holder card.. love it... great idea.. I love the idea! It is such a cute card and then the bookmark too! Great job! Very inspiring!!! Now Girlia, you ROCKED this card and to have a bookmark too, YOU GO GIRL...love it! Oh you know I am loving the colors for this week! Sooooo pretty! 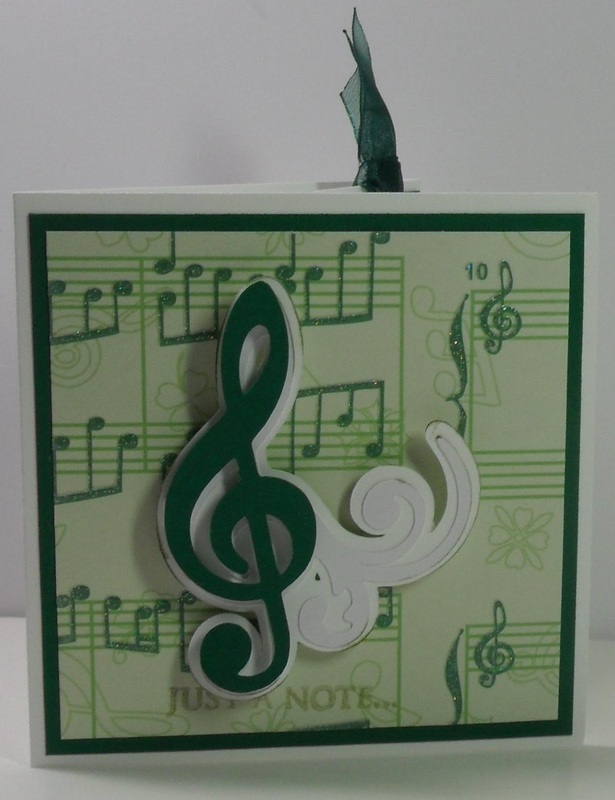 Love the bookmark and the swirly music note. Your shades of green are lovely! What a great idea! Love the card with matching bookmark. Lovely! Love the card and the bookmark! Well, you really did a wonderful job!!! 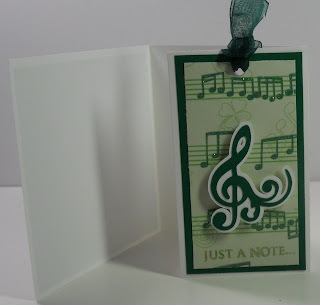 A card that is music to my ears!! I love your card, Gloria! You have such a wonderful style about all of your cards! I love the card and I love that has a little extra added to it! This is great! Loving the paper! As always you make the coolest cards...love this idea and your color combo is very beautiful!